Few imagined the San Antonio Spurs, who lost just 15 games during the regular season, would have their backs against the wall this early into the 2016 NBA Playoffs. The Spurs find themselves on the verge of elimination to the Oklahoma City Thunder, down three-games-to-two as they return to Chesapeake Energy Arena hoping to extend their season to a decisive Game 7 Sunday. While Gregg Popovich and Co. look to keep the lights on tonight, the Thunder are on the verge of returning to the Conference Finals for the fourth time since 2011. 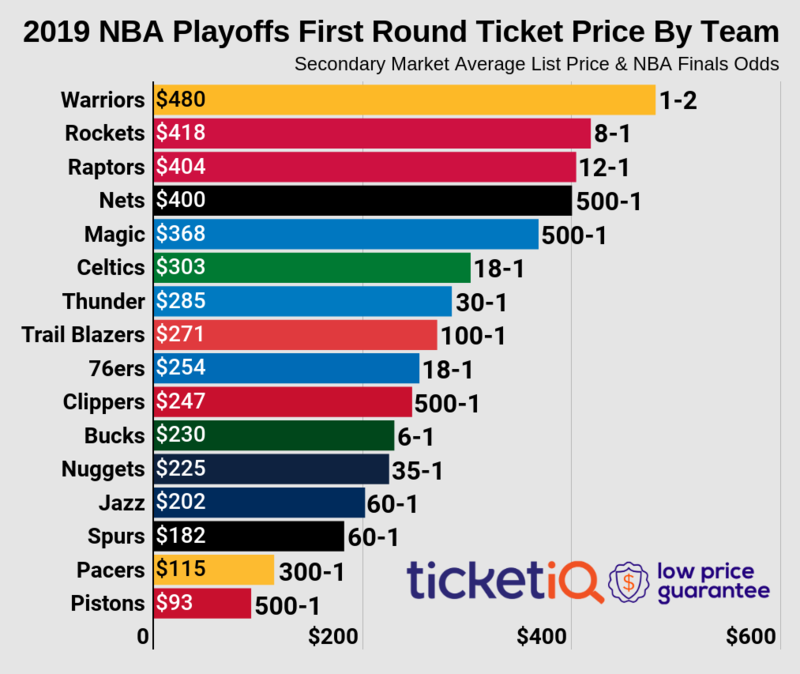 Thunder fans still searching for tickets to tonight's game appear to be in good spirits, too, as Thunder tickets on the secondary market have continued to increase in price since the beginning of the week. According to TicketIQ, the average resale price for Thunder vs Spurs Game 6 tickets is now $385.32. That marks a 32% jump in average from Monday, when tickets owned a secondary market average of $292.51. If looking to just get in the doors at Chesapeake Energy Arena tonight, the cheapest available ticket is now listed for $106 in Section 317. Should the series extend to Game 7 back at AT&T Center on Sunday, tickets are posting near-identical prices to that of tonight's game. Spurs vs Thunder Game 7 tickets now average $361.73 on the secondary market, just 6% cheaper than Game 6 in Oklahoma City. The get-in price starts from $130.